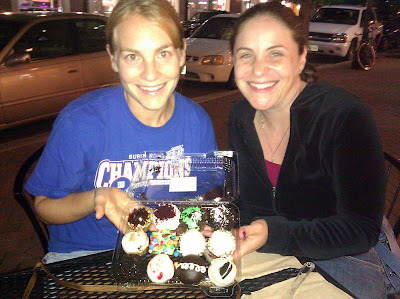 Tonight, for desert, we tried Crumbs Bakery in Clarendon. And by "tried," I mean the 4 of us destroyed a sampler pack. 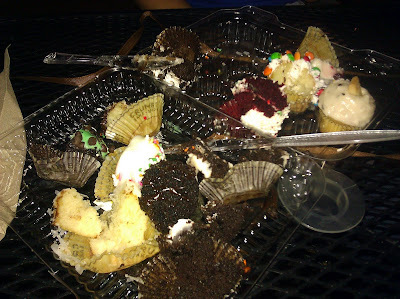 It was quite delicious as you might imagine. 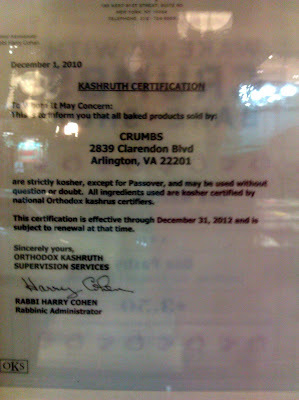 As a bonus, I learned that Crumbs is certified Kosher, which is a nice bonus. Here are some before and after pictures. To our credit, we didn't eat the paper wrappers, plastic container or ribbon. I'm proud of us.